Megan Walas Butcher, M.S.P.T., A.T.
Megan Walas Butcher has worked with the Center for Advanced Orthopedic physicians for 18 years. She received her Bachelor’s degree from Purdue University and a Master’s of Science in Physical Therapy from the University of Miami in 1994. 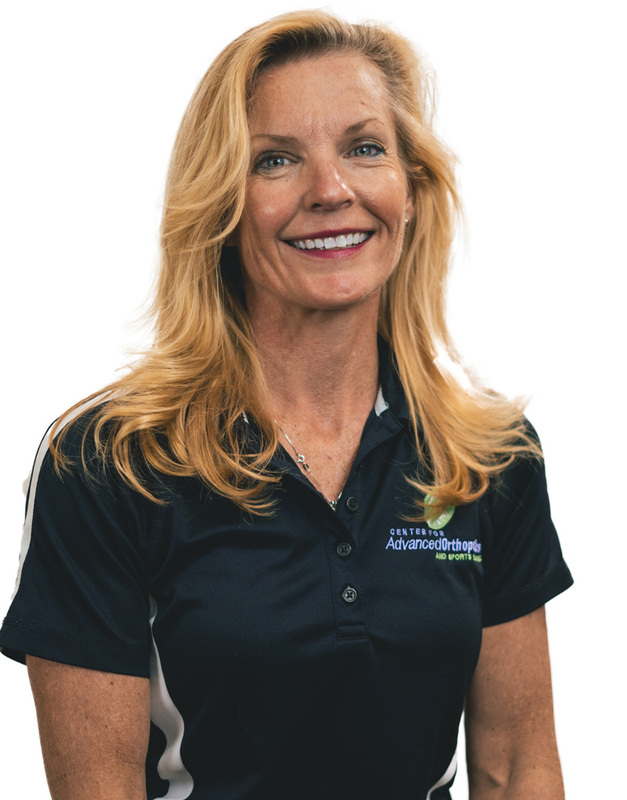 Megan has an extensive background in training and rehabilitating professional and collegiate athletes. As an avid runner, she is an accomplished marathon runner. Additionally, Megan’s love for golf has driven her to teaching and rehabilitating golf mechanics. Megan has been published in several journals and magazines. She offers experience in orthopedics, sports medicine, neurology, and prenatal care.